In a Tuesday op-ed, I explained the constitutional threat posed by the Antiquities Act, and why its repeated abuse is inconsistent with the constitutional pillars of the rule of law and checks and balances. As it turns out, there's a reason the Founders chose these principles as the basis of our government: arbitrary rule has no incentive to be accountable to the people that policies affect. Without that accountability, political and ideological manipulation corrodes the balance of power. You heard it in your high school civics class: America has "a government of laws and not of men." The rule of law is the basis of the constitutional order erected by the Founders. "A government with unpredictable and arbitrary laws poisons the blessings of liberty itself." The first axiom is from John Adams, the second is from James Madison. Their sentiments were universal in the founding generation and ought to continue today. Checks and balances have no teeth when our leaders can disregard the laws and rule according to their whims. WASHINGTON – The U.S. Department of the Interior announced a new report by the U.S. Fish and Wildlife Service that shows that 101.6 million Americans—40 percent of the U.S. population 16 years old and older—participated in wildlife-related activities in 2016, such as hunting, fishing and wildlife-watching. The survey illustrates gains in wildlife watching—particularly around the home—and fishing, with moderate declines in the number of hunters nationally. The findings reflect a continued interest in engaging in the outdoors. These activities are drivers behind an economic powerhouse, where participants spent $156 billion—the most in the last 25 years, adjusted for inflation. 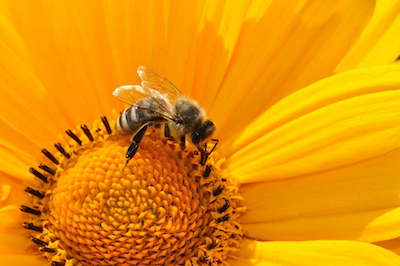 Honey bees are the greatest pollinators that farmers have, according to The Nature Conservancy. Unfortunately, bee colonies have been rapidly disappearing, and humans should know that they can do their part to create a bee haven in their own yard. There are many reasons – most of them largely speculative – as to why bee colonies are being abandoned by their inhabitants. But methods for preserving the bee population are proven. If certain measures are taken in gardening practices, we can help ensure that bees continue the pollination process so critical to man’s food supply. Seattle (September 7, 2017) - Doctors and researchers agree: the biggest health threat posed by breathing smoke is from the fine particles, which can lodge deep in your lungs, making it difficult or impossible for your lungs to expel them naturally over time. These microscopic particles - 2.5 microns or smaller - can get into your eyes and respiratory system, where they can cause health problems such as burning eyes, runny nose, persistent coughing and can aggravate illnesses like asthma and bronchitis.